To Subscribe & Save for this product requires a minimum quantity of 2 cases. You can choose 2 different flavors or 2 of the same. 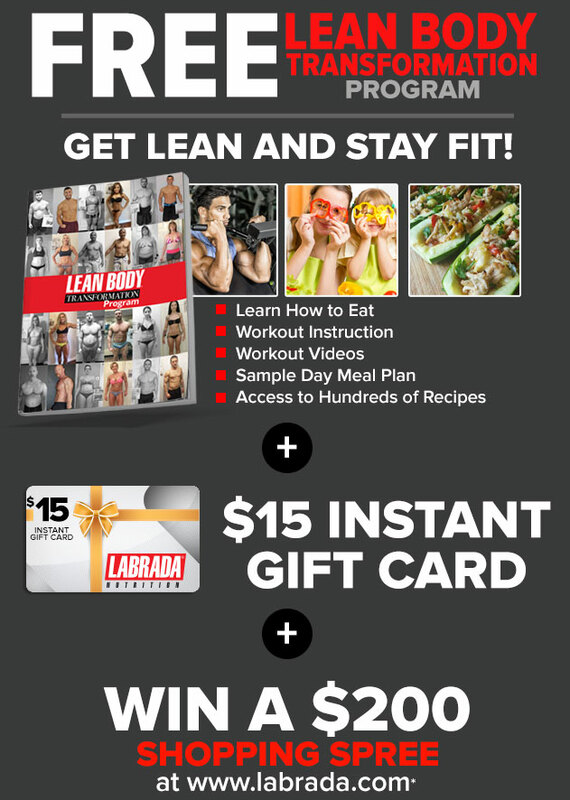 Lean Body® gives You High-Protein Nutrition On-The-Go! 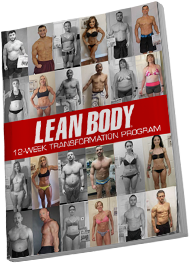 To many people, a "Lean Body" means better health, more energy, strength, and an improved sense of well being. Whatever goal drives you, Lean Body® Ready-to-Drink (RTD) Shakes can help you reach it. 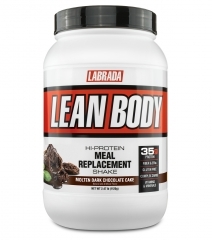 Lean Body® RTDs provide high-quality protein without sugar or gluten. 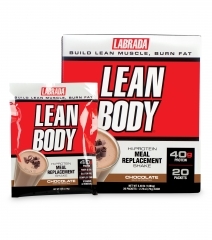 The protein in Lean Body® RTDs provide nutritional support for lean muscle in a convenient shake with a delicious, creamy taste that hits the spot every time. Lean Body® RTDs can help you manage your weight by helping curb appetite and food cravings. The protein in Lean Body can help you feel more full and satisfied. And when you feel satisfied, you're less likely to over-indulge in unhealthy snacks. 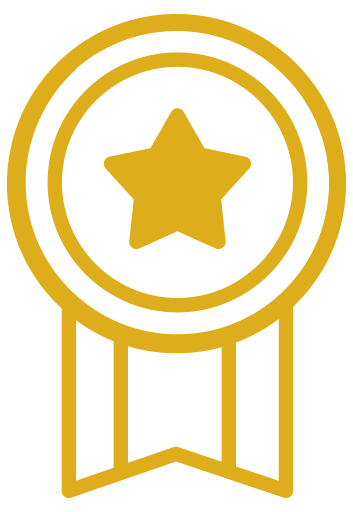 Lean Body® RTDs also make it easy to reach your goals because they're convenient, and you can take them anywhere. After all, when it comes to shaping up, being prepared is half the battle. If you always have great nutrition at your fingertips, you'll be less tempted to hit those fast food drive-thrus on every corner. At home or on the go, Lean Body® RTDs have you covered with high-protein, ready-made nutrition at your fingertips. Ingredients: Filtered Water Lean Pro® (Special Blend of Spray Dried Ultrafiltered Milk Protein Isolate, Yielding Fast Acting Whey Protein Peptides, Branched Chain Amino Acids, L-Glutamine Peptides, and Slow Acting Casein Peptides, Whey Protein Concentrate, Calcium Caseinate), Coffee, Sunflower Oil, FiberPlex™ (Fructooligosaccharides, Cellulose Gel, Cellulose Gum, Xanthan Gum, Carageenan), Soy Lecithin, Cocoa Processed with Alkali, Natural Flavors, Vitamin & Mineral Blend (Potassium Citrate, Sodium Phosphate, Magnesium Phosphate, Potassium Phosphate, Sodium Ascorbate, Zinc Sulfate, Tocopherol Acetate, Biotin, Vitamin A Palmitate, Niacinamide, Phytonadione, Potassium Iodide, D-calcium Pantothenate, Chromium Chloride, Copper Sulfate, Cyanocobalamin, Sodium Molybdate, Sodium Selenite, Folic Acid, Cholecalciferol, Pyridoxine Hydrochloride, Riboflavin, Thiamin Mononitrate, Manganese Sulfate), Salt, Sucralose, Acesulfame Potassium. Recommended Use: Shake well and serve cold. Refrigerate after opening. Ingredients: Filtered Water Lean Pro® (Special Blend of Spray Dried Ultrafiltered Milk Protein Isolate, Yielding Fast Acting Whey Protein Peptides, Branched Chain Amino Acids, L-Glutamine Peptides, and Slow Acting Casein Peptides, Whey Protein Concentrate, Calcium Caseinate), Natural Flavors, High Oleic Safflower Oil, FiberPlex™ (Fructooligosaccharides, Cellulose Gel, Cellulose Gum, Xanthan Gum, Carageenan), Vitamin & Mineral Blend (Potassium Phosphate, Potassium Citrate, Magnesium Phosphate, Sodium Ascorbate, Zinc Sulfate, Tocopherol Acetate, Biotin, Vitamin A Palmitate, Niacinamide, Phytonadione, Potassium Iodide, D-calcium Pantothenate, Chromium Chloride, Copper Sulfate, Cyanocobalamin, Sodium Molybdate, Sodium Selenite, Folic Acid, Cholecalciferol, Pyridoxine Hydrochloride, Riboflavin, Thiamin Mononitrate, Manganese Sulfate), Soy Lecithin, Caramel Color, Sucralose, Acesulfame Potassium. Ingredients: Filtered Water Lean Pro® (Special Blend of Spray Dried Ultrafiltered Milk Protein Isolate, Yielding Fast Acting Whey Protein Peptides, Branched Chain Amino Acids, L-Glutamine Peptides, and Slow Acting Casein Peptides, Whey Protein Concentrate, Calcium Caseinate), High Oleic Safflower Oil, Cocoa Processed with Alkali, Cocoa, FiberPlex™ (Fructooligosaccharides, Cellulose Gel, Cellulose Gum, Carageenan, Xanthan Gum), Vitamin and Mineral Blend (Potassium Phosphate, Potassium Citrate, Magnesium Phosphate, Sodium Ascorbate, Zinc Sulfate, Tocopherol Acetate, Biotin, Vitamin A Palmitate, Niacinamide, Phytonadione, Potassium Iodide, D-calcium Pantothenate, Chromium Chloride, Copper Sulfate, Cyanocobalamin, Sodium Molybdate, Sodium Selenite, Folic Acid, Cholecalciferol, Pyridoxine Hydrochloride, Riboflavin, Thiamin Mononitrate, Manganese Sulfate), Natural Flavors, Soy Lecithin, Citric Acid, Sucralose, Salt, Acesulfame Potassium. Ingredients: Filtered Water Lean Pro® (Special Blend of Spray Dried Ultrafiltered Milk Protein Isolate, Yielding Fast Acting Whey Protein Peptides, Branched Chain Amino Acids, L-Glutamine Peptides, and Slow Acting Casein Peptides, Whey Protein Concentrate, Calcium Caseinate), Sunflower Oil, FiberPlex™ (Fructooligosaccharides, Cellulose Gel, Cellulose Gum, Xanthan Gum, Carageenan), Natural Flavors, Soy Lecithin, Vitamin & Mineral Blend (Potassium Citrate, Sodium Phosphate, Magnesium Phosphate, Potassium Phosphate, Sodium Ascorbate, Zinc Sulfate, Tocopherol Acetate, Biotin, Vitamin A Palmitate, Niacinamide, Phytonadione, Potassium Iodide, D-calcium Pantothenate, Chromium Chloride, Copper Amino Acid, Cyanocobalamin, Sodium Molybdate, Sodium Selenite, Folic Acid, Cholecalciferol, Pyridoxine Hydrochloride, Riboflavin, Thiamin Mononitrate, Manganese Sulfate), Salt, Caramel Color, Sucralose, Acesulfame Potassium. Ingredients: Filtered Water Lean Pro® (Special Blend of Spray Dried Ultrafiltered Milk Protein Isolate, Yielding Fast Acting Whey Protein Peptides, Branched Chain Amino Acids, L-Glutamine Peptides, and Slow Acting Casein Peptides, Whey Protein Concentrate, Calcium Caseinate), High Oleic Safflower Oil, FiberPlex™ (Fructooligosaccharides, Cellulose Gel, Cellulose Gum, Carageenan, Xanthan Gum), Vitamin and Mineral Blend (Potassium Phosphate, Potassium Citrate, Magnesium Phosphate, Sodium Ascorbate, Zinc Sulfate, Tocopherol Acetate, Biotin, Vitamin A Palmitate, Niacinamide, Phytonadione, Potassium Iodide, D-calcium Pantothenate, Chromium Chloride, Copper Sulfate, Cyanocobalamin, Sodium Molybdate, Sodium Selenite, Folic Acid, Cholecalciferol, Pyridoxine Hydrochloride, Riboflavin, Thiamin Mononitrate, Manganese Sulfate), Natural Flavors, Soy Lecithin, Citric Acid, Sucralose, Salt, Acesulfame Potassium. Ingredients: Filtered Water Lean Pro® (Special Blend of Spray Dried Ultrafiltered Milk Protein Isolate, Yielding Fast Acting Whey Protein Peptides, Branched Chain Amino Acids, L-Glutamine Peptides, and Slow Acting Casein Peptides, Calcium Caseinate, Cross-Flow Micro Ultrafiltered Whey Protein Concentrate), Natural & Artificial Flavors, High Oleic Safflower Oil, Cocoa (processed with Alkali), FiberPlex™ (Fructooligosaccharides, Cellulose Gel, Cellulose Gum, Guar Gum, Carrageenan), Potassium Citrate, Soy Lecithin, Sodium Hexametaphosphate, Vitamin and Mineral Blend (Magnesium Phosphate, Potassium Phosphate, Sodium Ascorbate, Zinc Sulfate, Tocopherol Acetate, Biotin, Vitamin A Palmitate, Niacinamide, Phytonadione, Potassium Iodide, D-Calcium Pantothenate, Chromium Chloride, Copper Sulfate, Cyanocobalamin, Sodium Molybdate, Sodium Selenite, Folic Acid, Cholecalciferol, Pyridoxine Hydrochloride, Riboflavin, Thiamin Mononitrate, Sucralose, Acesulfame Potassium. Ingredients: Filtered Water Lean Pro® (Special Blend of Spray Dried Ultrafiltered Milk Protein Isolate, Yielding Fast Acting Whey Protein Peptides, Branched Chain Amino Acids, L-Glutamine Peptides, and Slow Acting Casein Peptides, Whey Protein Concentrate, Calcium Caseinate), High Oleic Safflower Oil, FiberPlex™ (Fructooligosaccharides, Cellulose Gel, Cellulose Gum, Carageenan, Xanthan Gum), Vitamin and Mineral Blend (Potassium Phosphate, Potassium Citrate, Magnesium Phosphate, Sodium Ascorbate, Zinc Sulfate, Tocopherol Acetate, Biotin, Vitamin A Palmitate, Niacinamide, Phytonadione, Potassium Iodide, D-calcium Pantothenate, Chromium Chloride, Copper Sulfate, Cyanocobalamin, Sodium Molybdate, Sodium Selenite, Folic Acid, Cholecalciferol, Pyridoxine Hydrochloride, Riboflavin, Thiamin Mononitrate, Manganese Sulfate), Natural & Artificial Flavors, Soy Lecithin, Lycopene (color), Sucralose, Acesulfame Potassium. Ingredients: Filtered Water Lean Pro® (Special Blend of Spray Dried Ultrafiltered Milk Protein Isolate, Yielding Fast Acting Whey Protein Peptides, Branched Chain Amino Acids, L-Glutamine Peptides, and Slow Acting Casein Peptides, Whey Protein Concentrate, Calcium Caseinate), Natural and Artificial Flavors, High Oleic Safflower Oil, FiberPlex™ (Fructooligosaccharides, Cellulose Gel, Cellulose Gum, Xanthan Gum, Carageenan), Vitamin and Mineral Blend (Potassium Phosphate, Potassium Citrate, Magnesium Phosphate, Sodium Ascorbate, Zinc Sulfate, Tocopherol Acetate, Biotin, Vitamin A Palmitate, Niacinamide, Phytonadione, Potassium Iodide, D-calcium Pantothenate, Chromium Chloride, Copper Sulfate, Cyanocobalamin, Sodium Molybdate, Sodium Selenite, Folic Acid, Cholecalciferol, Pyridoxine Hydrochloride, Riboflavin, Thiamin Mononitrate, Manganese Sulfate), Soy Lecithin, Turmeric (color), Sucralose, Acesulfame Potassium. So good you won't believe how good it is for you! My husband & I have used RTD for the past year. He's the Strawberry fan and I'm the Vanilla. It's a great meal replacement that is low calorie and gives you plenty of protein. It's difficult to believe how good it tastes after trying several brands and wasting a lot of $$. A big thank you Lean Body! I am addicted to the banana flavor. 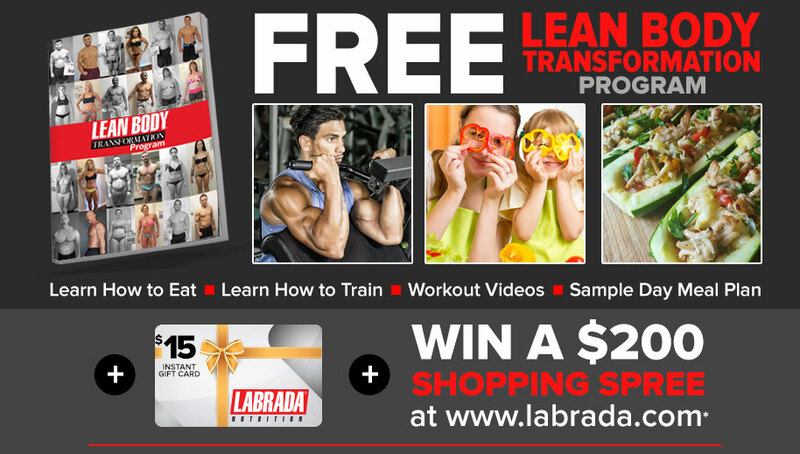 Labrada Nutrition has perfected great tasting and healthy products. The RTD are awesome. I am not a fan of the Cinnamon Bun flavor but a huge fan of the vanilla flavor. You can't go wrong with these RTD when you are on the go or in a hurry and can't make a shake in the blender. Highly recommended. I LOVE Labrada's salted caramel RTD protein shakes! They tasate amazing without any funky after taste. The curb my hunger and my sweet tooth and I can rest assured that when I need to "grab and go" I'm not sacrificing quality with these! This is my favorite flavor. I use this in my coffee like Lee Labrada suggested and I am completely addicted now. I love how I can travel and just take one shake with me so I have my great coffee anywhere. The best tasting RTD on the market. Best ingredients and packaging. Love that it has ZERO sugar. Simply the best.